Is the Volcano Worth the Price Tag? Why Is it So Expensive? The VOLCANO is regarded as the best vaporizer because it is made of the best materials and from quality craftsmanship. 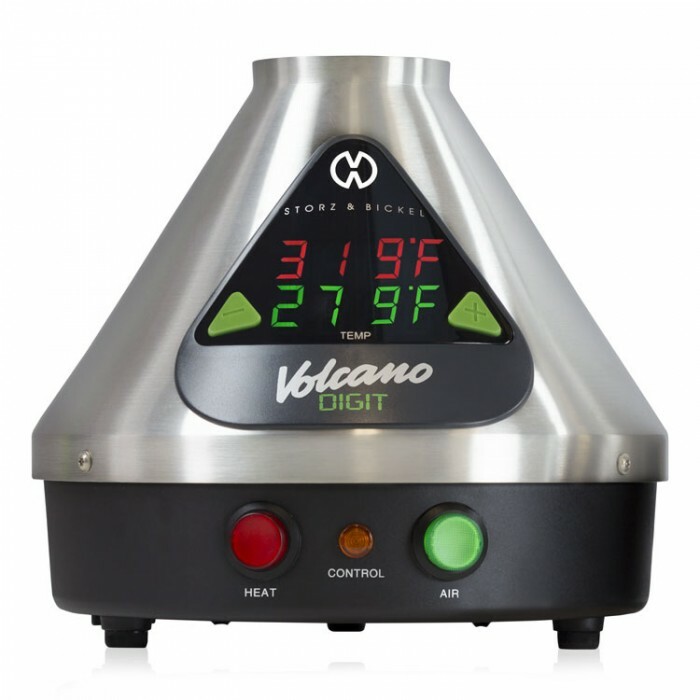 The VOLCANO is built for ultimate high performance with extremely precise temp control. Using the correct components and the correct means for extracting and delivering the ingredients of dry herbs is why the Volcano delivers flavorful and efficient vapor over other methods. Many vaporizer companies use low-quality materials with less than precise temperature controls while claiming that they do. Through not using the correct materials and the best practices for extraction and delivery you will end up causing combustion and wasting materials. Vape critics and cannabis lovers all over the world agree that the Volcano is number 1. The Volcano comes with a 3 year manufacturer warranty and receives the top reviews of any vaporizer ever released. Volcano uses its own unique patented system technology. The Volcano uses efficient and controlled technology that allows the user or users to achieve the best vapor results time and time again. The Volcano is a smooth device that gently heats materials to extract flavor and aroma carefully and without over cooking it. The extracted vapor ingredients are collected in a Balloon that you connect to the top of the device (included with the Volcano package). 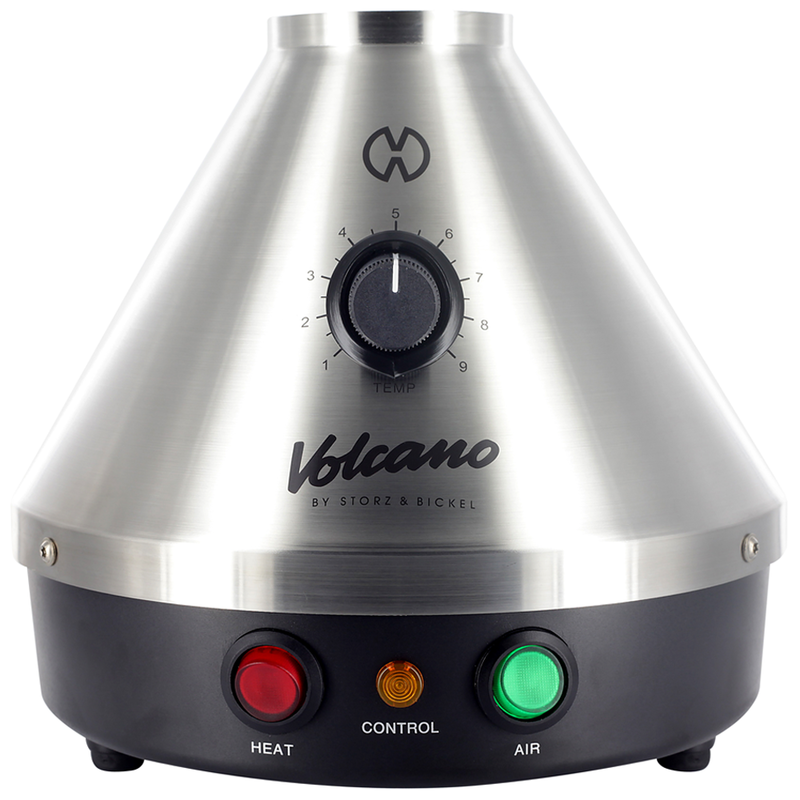 The V﻿olcano Vaporizer has uses an air pump that enables it to create a constant and smooth air flow. In conjunction with the air pump the Volcano uses a heat exchanger to optimize the device and maintain a precise temperature level as it vapes your materials. The combo of the air pump and the heat exchanger allows you to achieve the greatest level of efficiency without having to compromise the taste. The Volcano is an easy to use device, regardless of the model you get. The Volcano is turned on by pressing the red switch to the on position (don't hit the green switch until the balloon is attached and the device is pre heated). Once you do this the Volcano will take approximately 3 to 5 minutes to reach your desired temperature. It will take a shorter time if you have it set to a lower temperature and bit longer to reach the higher temperatures. The material that you are using is placed into the filling chamber and than placed on top of the Volcano. At this point you can now attach the valve balloon and activate the green switch. After about 30 seconds to 1 minute that balloon will be expanded and you will need to switch the green button again to disconnect the balloon from the oven chamber. You can then attach the mouthpiece to the balloon and inhale the vapor. How long can the vapor be kept in the balloon? The balloon is not meant to store the vapor for long periods of time. It is recommended that you utilize the contents of the balloon within 5 to 10 minutes. This is because the vapor in the valve balloon will begin to condense and stick to the sides of the balloon after a short while. How long can you use the same balloon? It is mentioned on the official Volcano website that you should change the valve balloon when it gets dirty. Typically the balloon will last around 50 and 200 sessions before you should get a new one. This range is pretty big, so its best to use your own judgement and common sense as to when to replace it. If your the type of person who continues to leave vapor in the balloon for extended periods of time that you'll probably be in the closer to 50 session range.